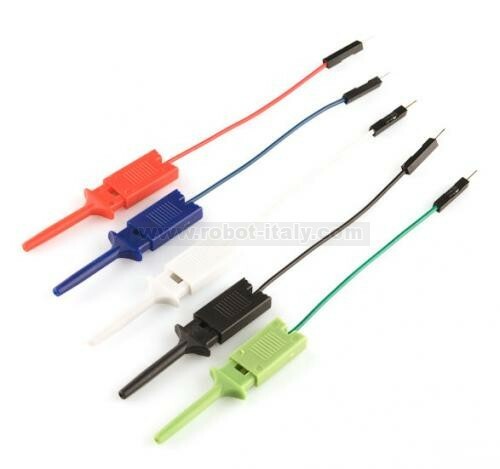 These are good quality IC test hooks with a male connection wire. Instead of a single hook, these have two hooks that are capable of grabbing very small points (like SOIC IC legs). Comes in a bag of five IC hooks of different colors (black, red, white, blue, and green). We use them with the Bus Pirate logic analyzer harnesses but are very cool on their own.